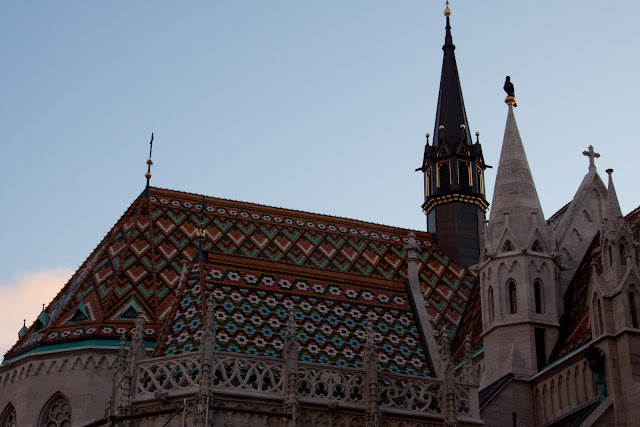 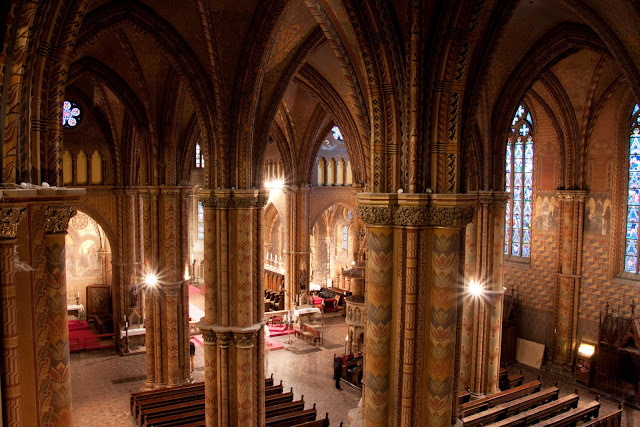 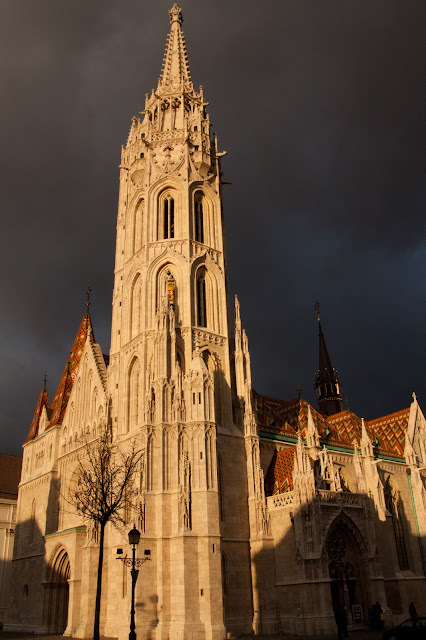 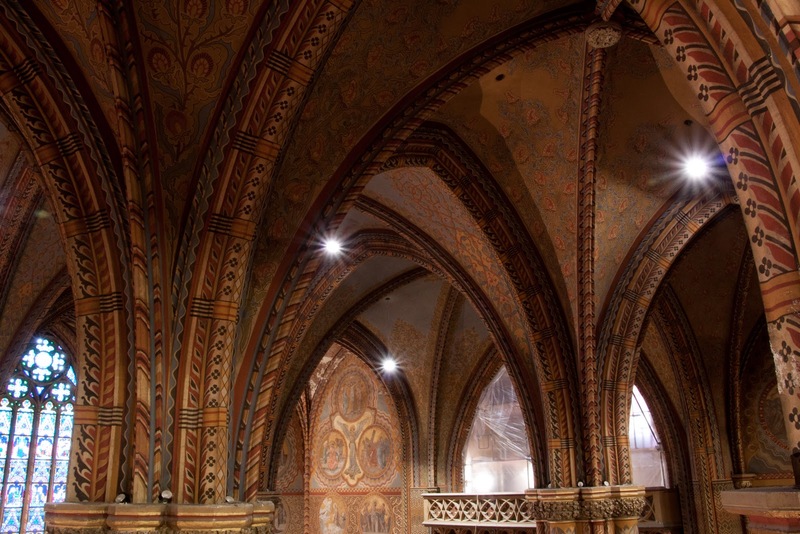 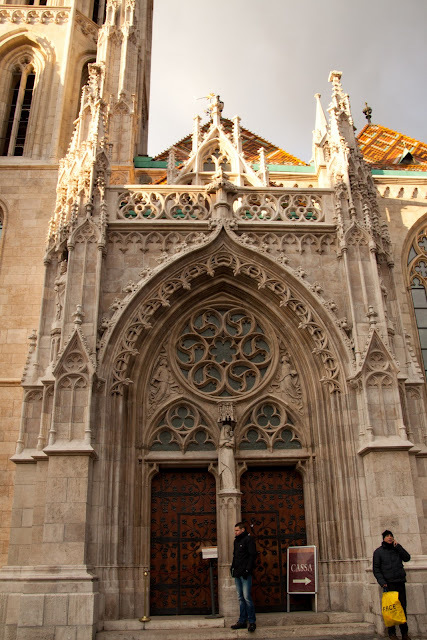 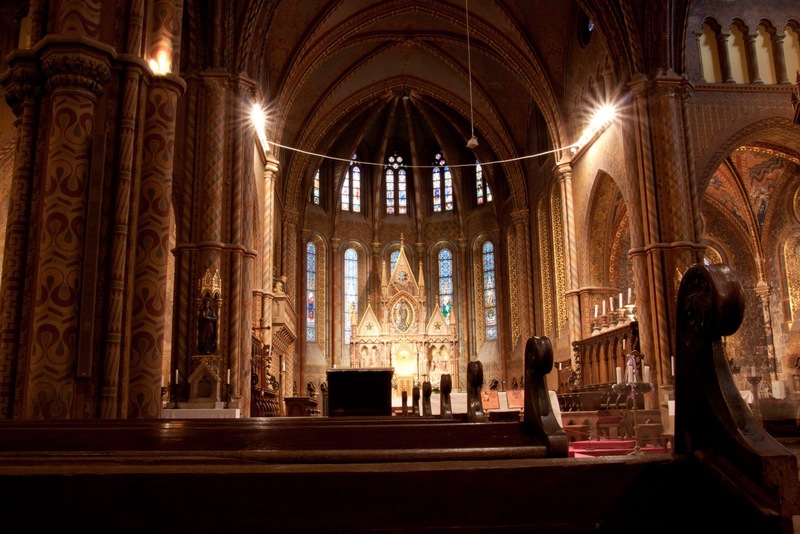 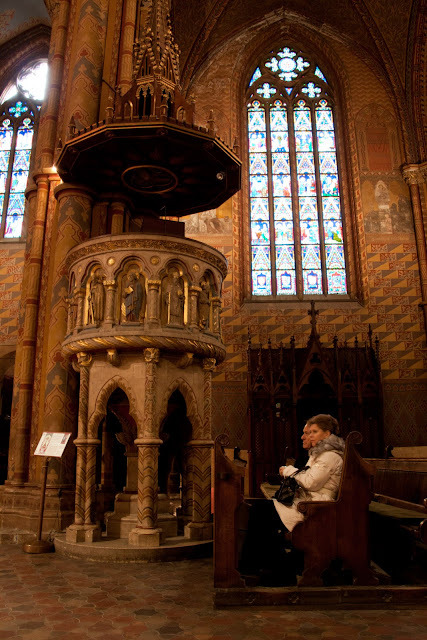 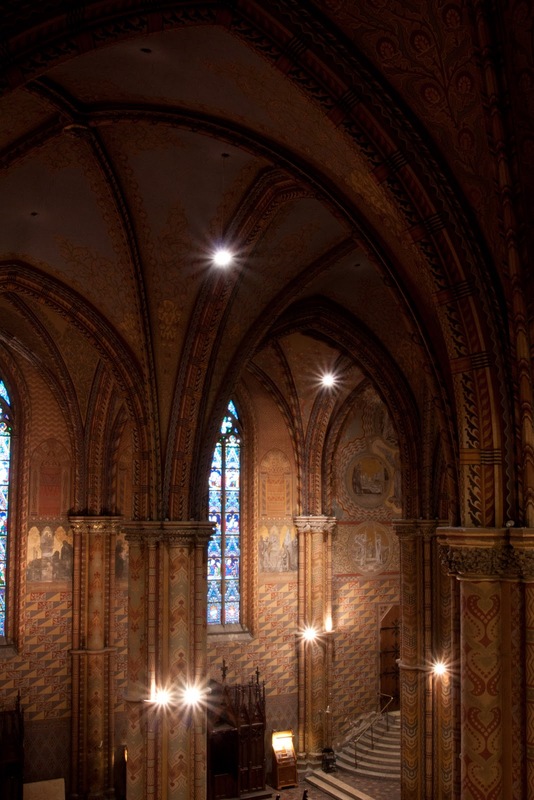 Matthias Church, on Castle Hill, was initially built in 1015, but the current building wasn't started until the late 1300s. The church was extensively renovated in the late 19th century, when the frescoes that were originally painted were redone. 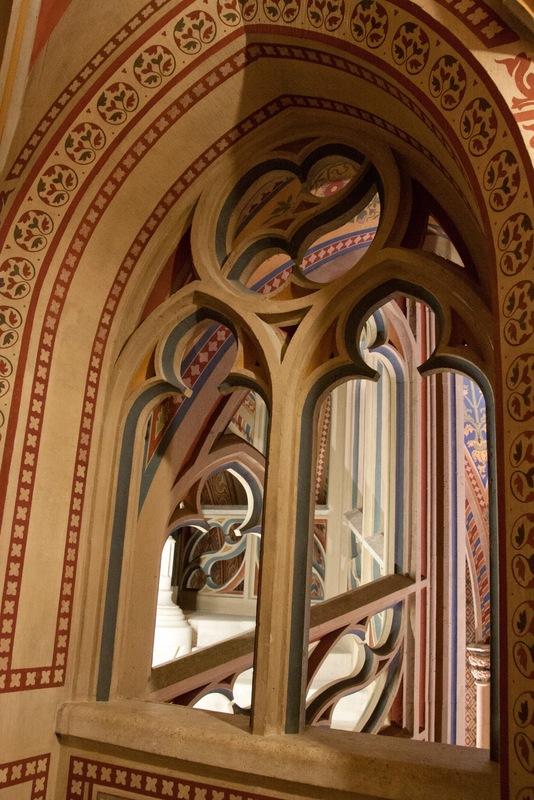 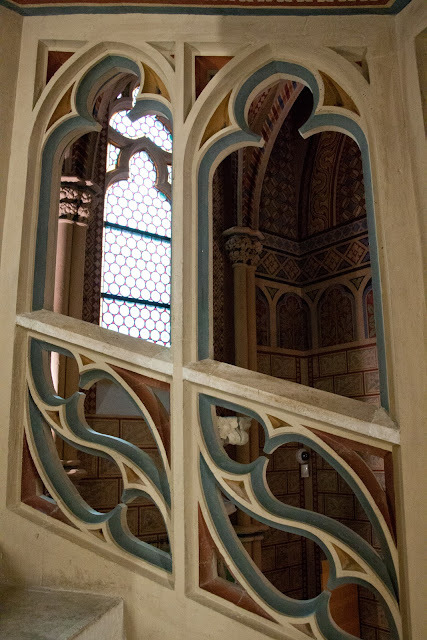 The stairwell leading to the upper level is even more beautifully decorated than the church interior! The patterned roof tiles were the idea of 19th century architect Frigyes Schulek. 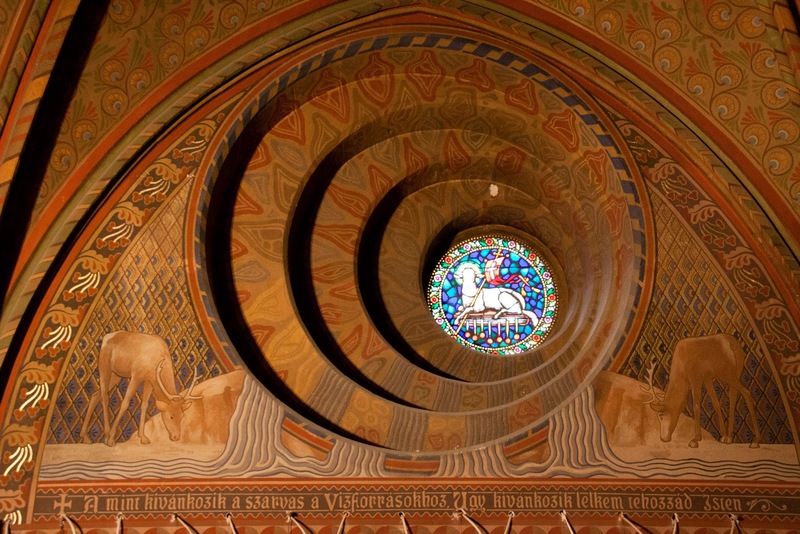 Great pictures - I love all the stained-glass.